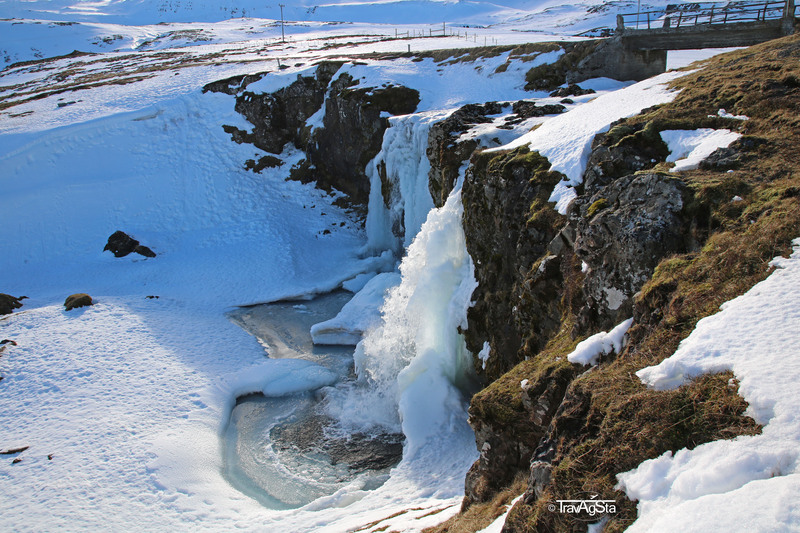 Snaefellsness, Iceland – Is this place real? 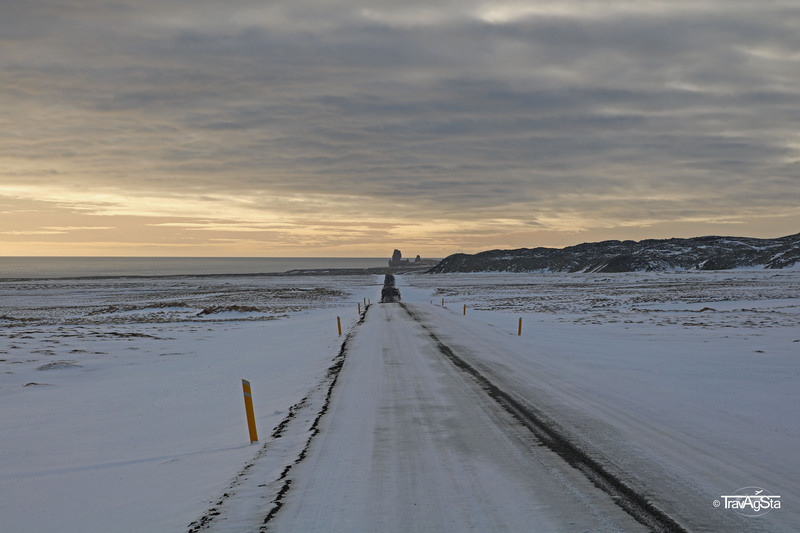 We had put Snaefellsness on our ‘Depending-on-the-weather-list’, as it is a two and half hours ride from Selfoss. We wanted the long ride to be worth it. 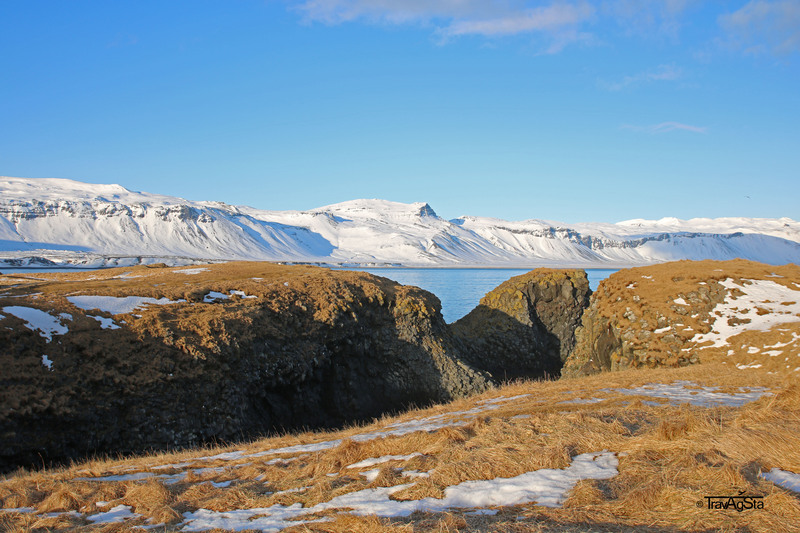 Snaefellsness is said to be a miniature version of Iceland and we can totally confirm that. 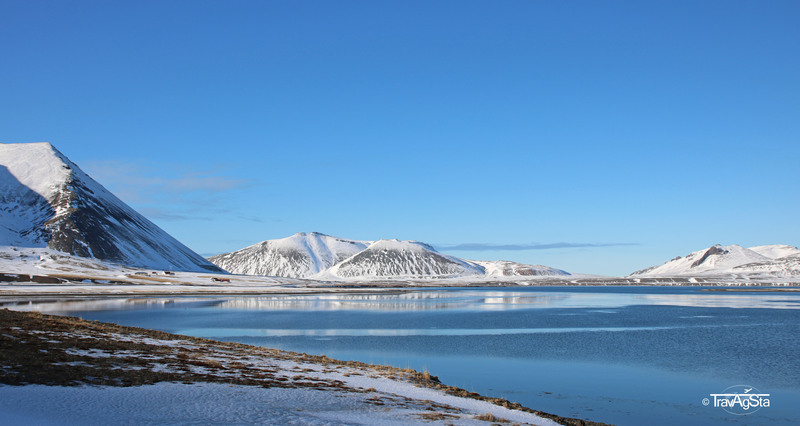 All kinds of landscapes merge here: Snowy hills and fjords and just a few kilometres away moon landscapes next to a wild coast and the sea. 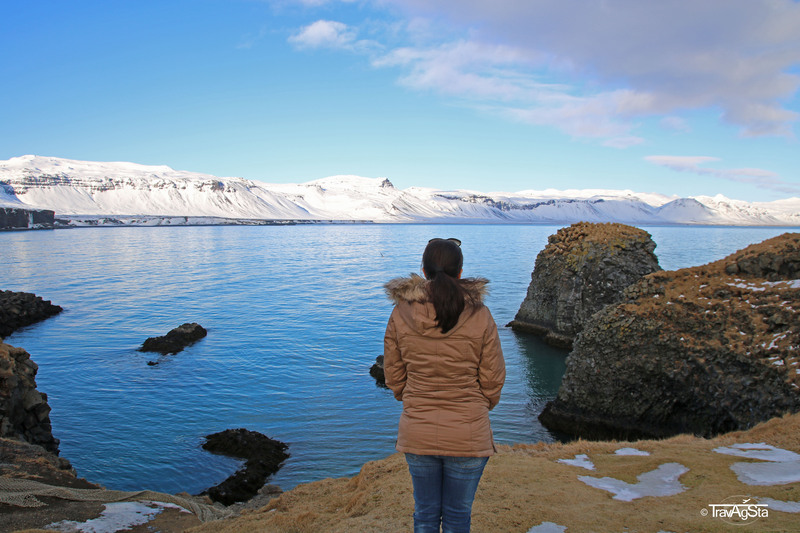 If you don’t have the time to see the whole of Iceland, you can make at least a day trip here. 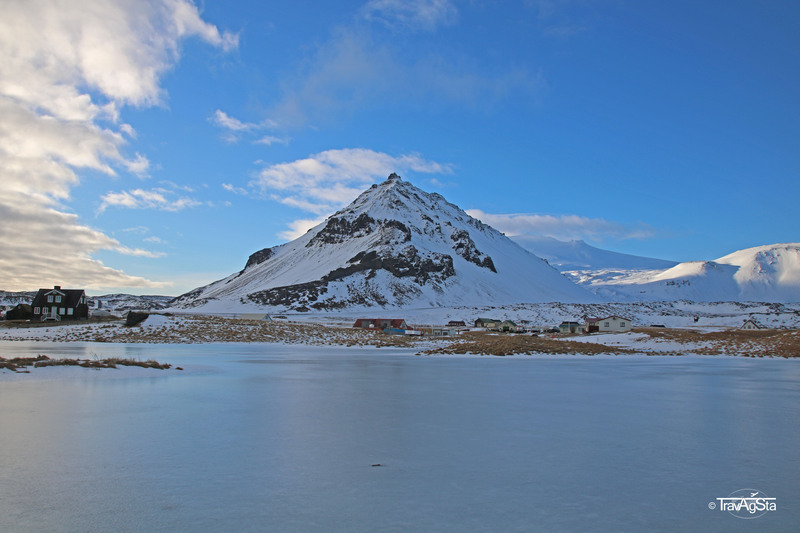 On the sparsely populated peninsula at the West Coast of Iceland there is one of four National Parks of Iceland: the Snaefellsjökull National Park. It means ‘Snow hill island’ and the name is so right about it. 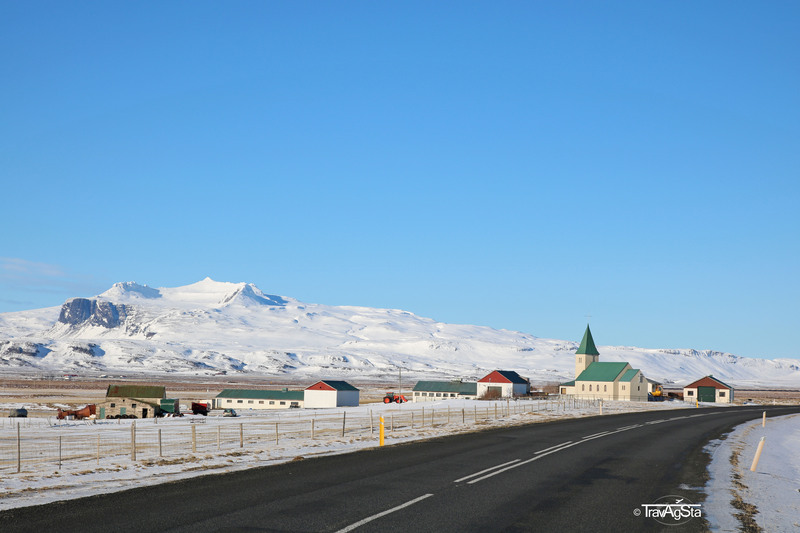 There are only four municipalities and we passed just one of them, Grundarfjörður. A little hicktown with almost 900 residents placed in the middle of wild nature. It’s an ridiculously idyllic place. I couldn’t understand why people wanted to live so far away from civilization. Maybe it’s because of the fresh air, calmness and the insanity of nature that’s surrounding them. 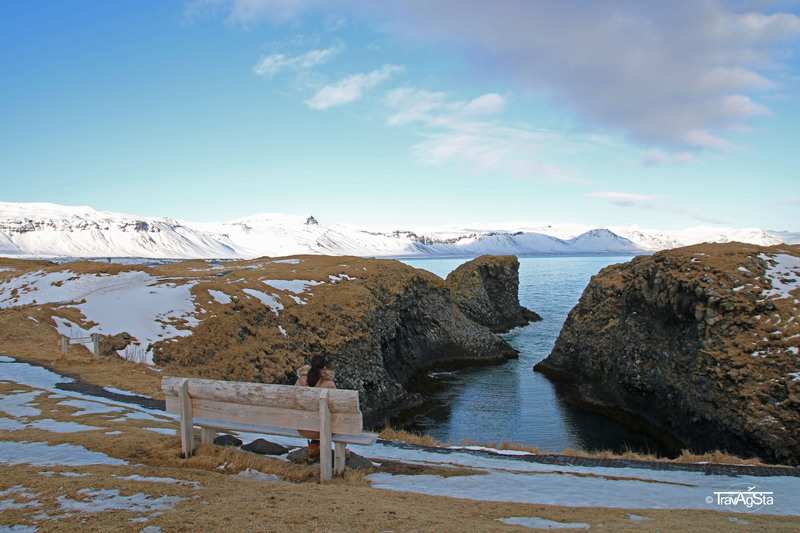 Another little place was Ólafsvík located near Kirkjufell and unspectacular just like in old movies. 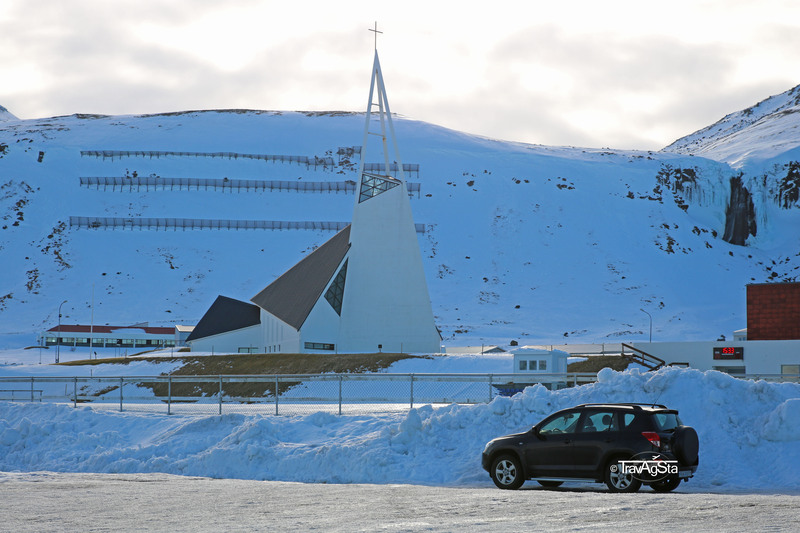 But here we saw the weirdest church: A crossing of minimalism and discreet craziness. 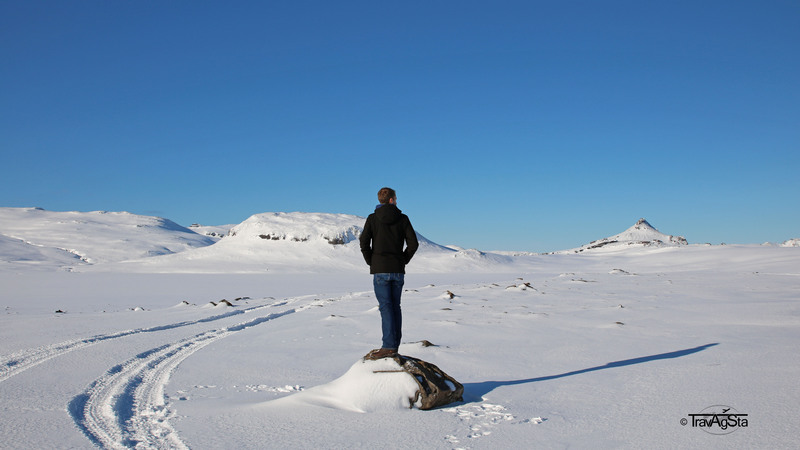 We were surprised as there were no other tourists here, though the days before taught us that Iceland is a well visited country even in winter. We enjoyed the overdose of ease and nature. Take supplies with you as this peninsula doesn’t offer you lots of civilization. Snaefellsness is picture perfect zone at its best. And with the sunny weather, the whole trip was kind of surreal. Jan’s first encounter with this majestic kind of nature was in New Zealand, mine in Kotor, Montenegro. I didn’t expect to see such a place in Iceland. 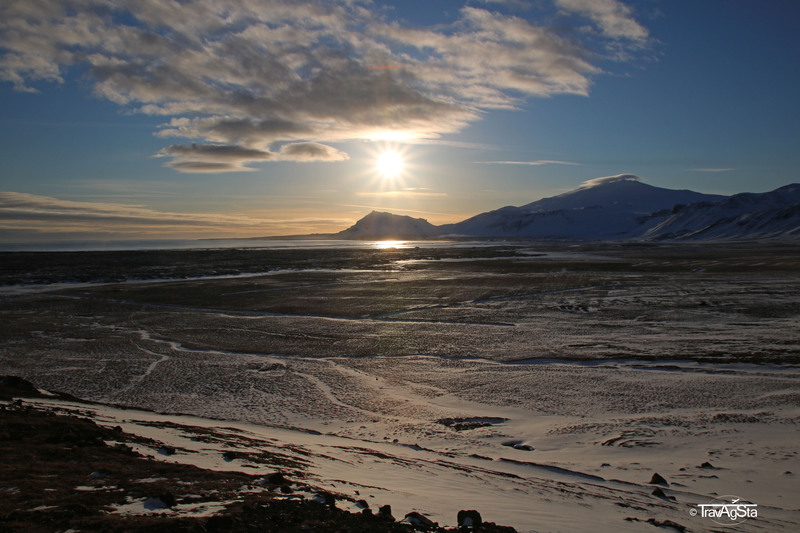 They were small fjords, but with all the surrounding landscape just so beautiful. 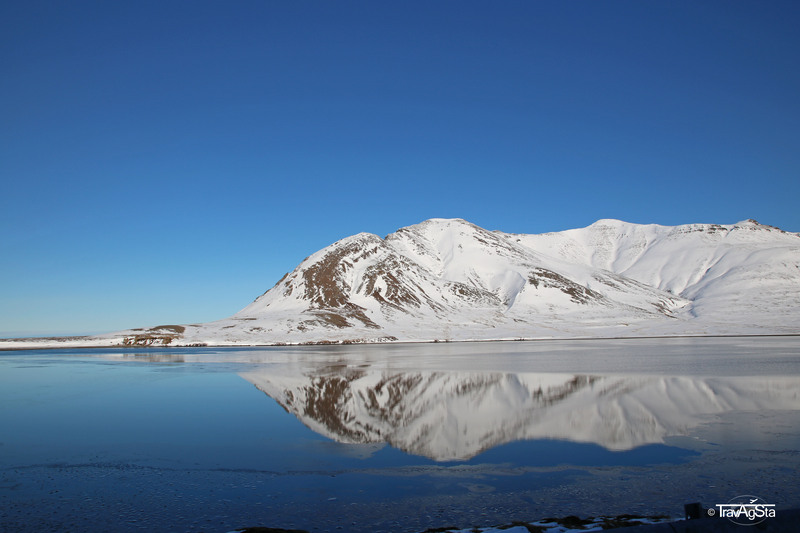 The mix of sun, snowy landscape, the sea and peaceful ease made it a perfect region for dreamy memories. The cherry on top was seeing a sea eagle (you can see it in the video above). One of the last ones in Iceland. 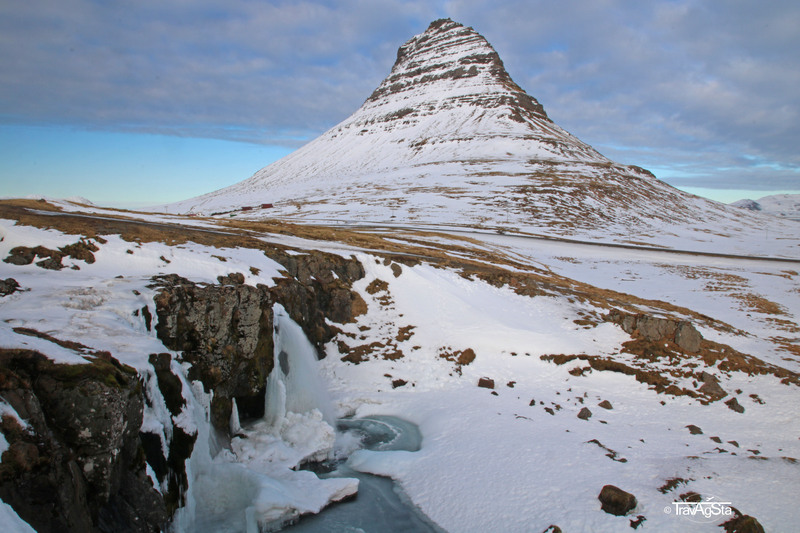 We can’t count how many pictures we’ve seen of this mountain and the waterfall. 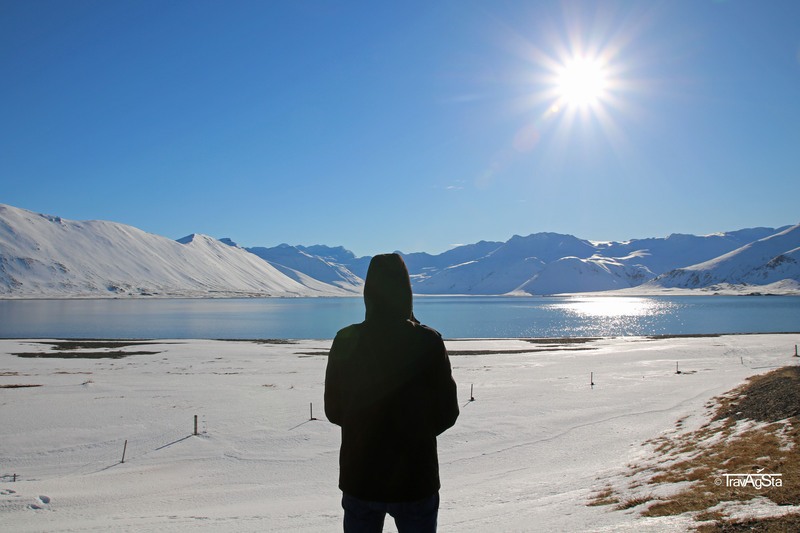 This place was one of the things motivating us to visit Iceland. It’s near Grundarfjörður. 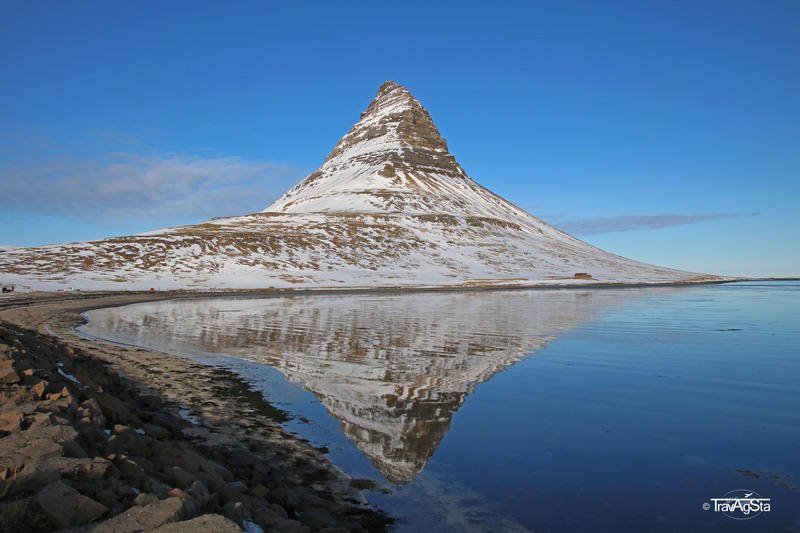 The name means ‚Church mountain‘ and is derived from its shape. In winter everything is frozen and not really cleared. But with good shoes, it shouldn’t be a problem going up the waterfall. Maybe you shouldn’t run. Wouldn’t be a great idea. We didn’t make the whole hike as we were really hungry and Arnarstapi seemed kind of lost. 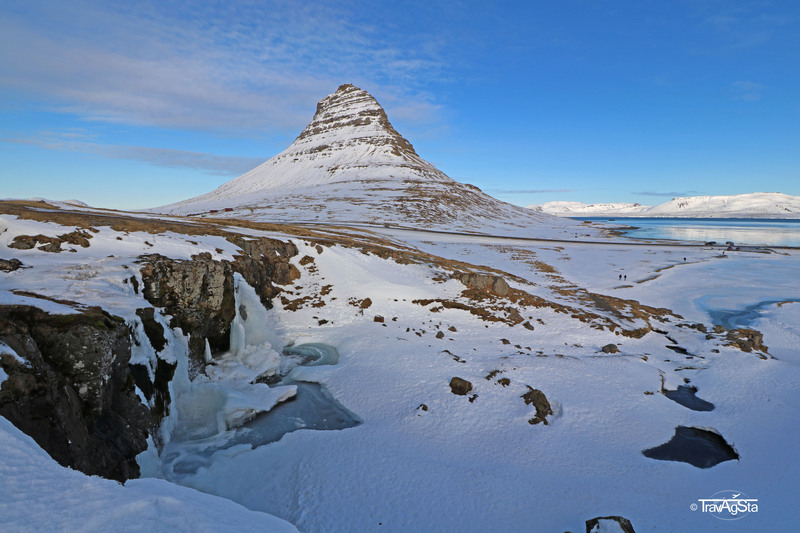 It was one of the most beautiful hiking trails we’ve seen in Iceland. There were two other women there with us and besides that, nature and wild sea as far as the eye can see. 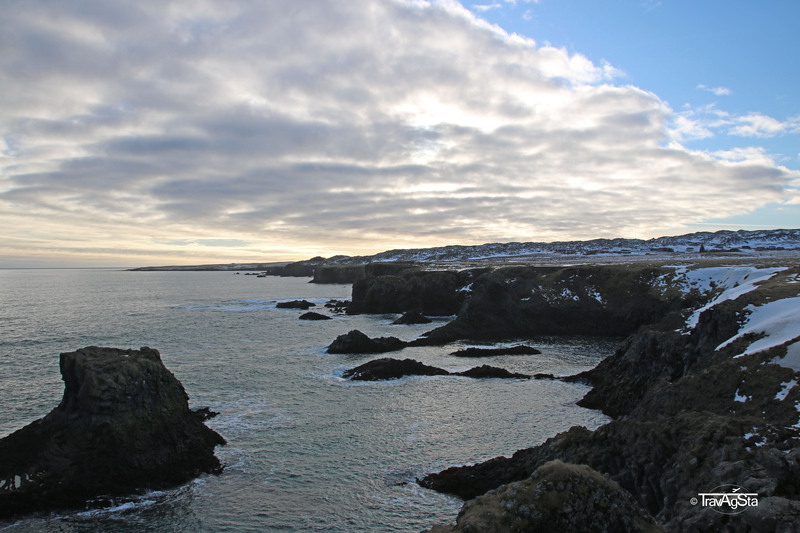 There are a few holiday cottages in Arnarstapi. Empty. Probably they’re Icelander’s summer cottages. 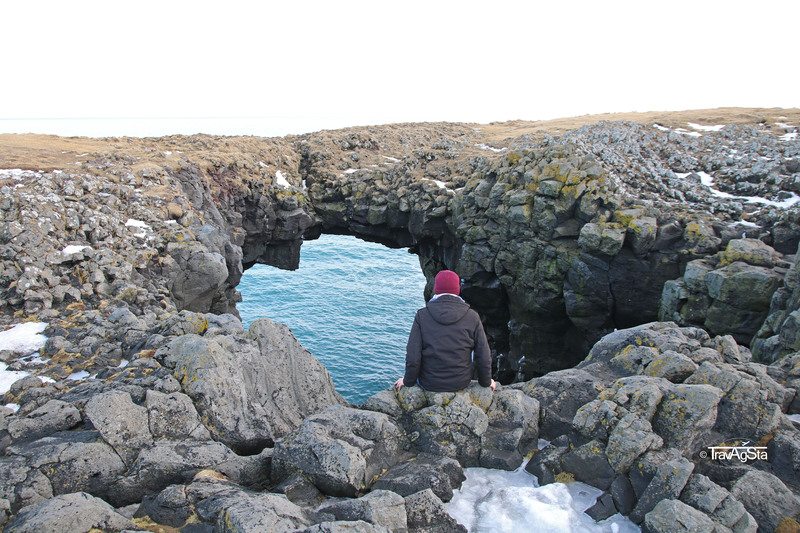 The geological formations were amazing and maybe even unknown to many Iceland visitors. 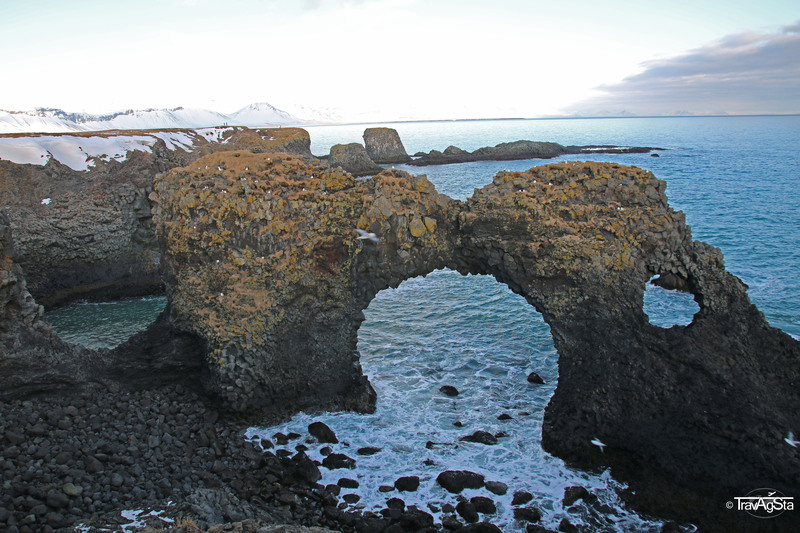 We saw pictures of the Gatklettur (‘Arch Rock’) before and weren’t disappointed. The other view points were fantastic as well. It was a bit dangerous as there is a lot of frozen snow along the way. This might be the reason for the absence of people. Thanks to the sun, it was a fantastic day. 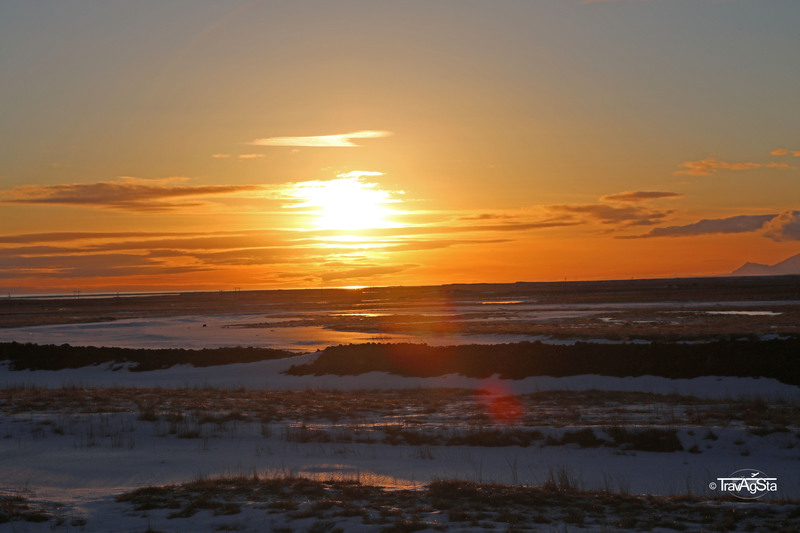 Have you been to Snaefellsness yet?What do you think of the place? Better than its reputation – Frankfurt on the Main! 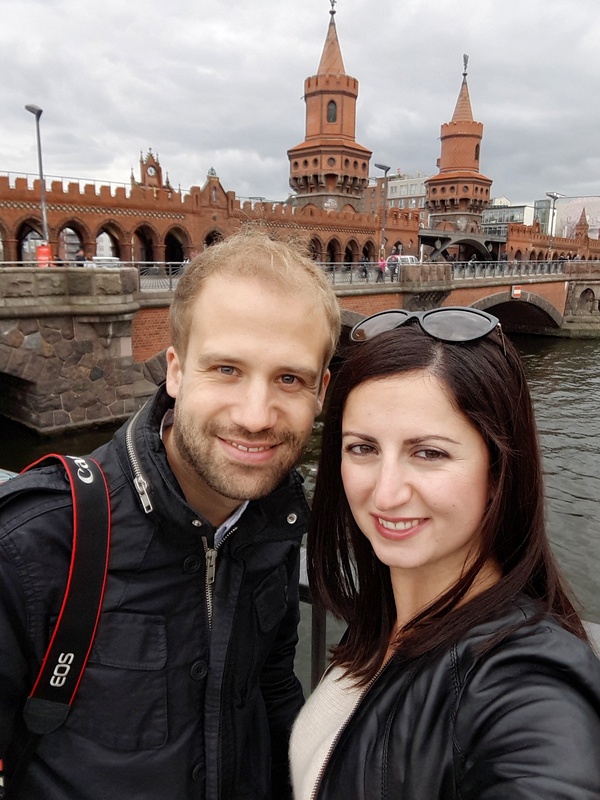 Eguisheim, Kaysersberg, Colmar – a romantic weekend in Alsace! New Zealand after your A-levels – A German classic! Wow, what a beautiful and isolated place. You have some wonderful photographs! Thank you so much! 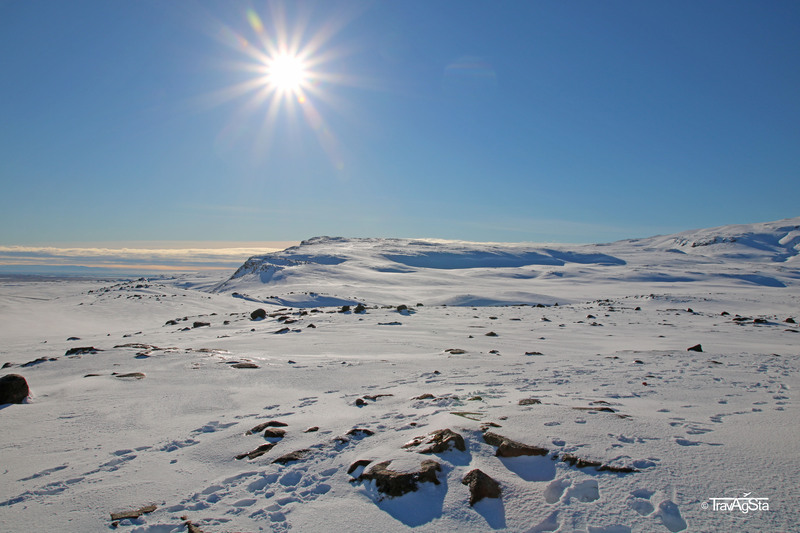 Snaefellsness is truly a magic place! Hope you will be able to visit it sometime! Wow these photos are stunning! 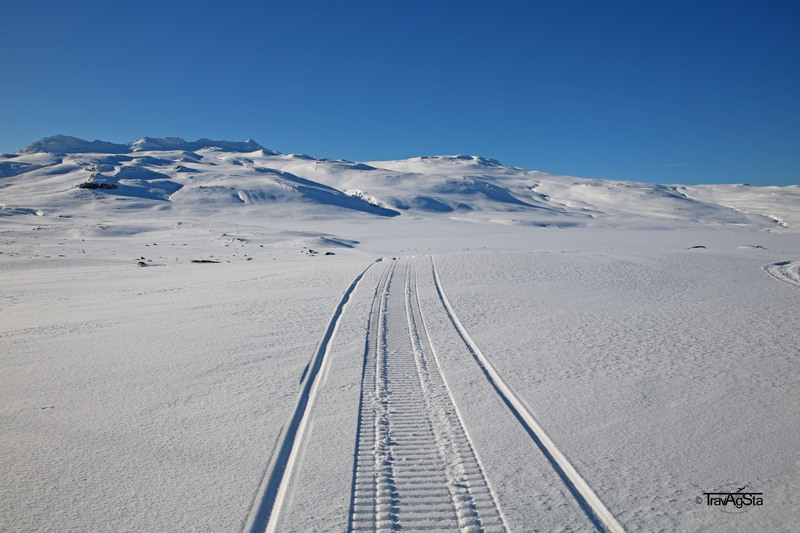 I’m hoping to go to Iceland next year, I had been planning a summer trip but these pictures are making me think twice… Was it difficult travelling round in the snow? thank you, we’re glad you like the photos! 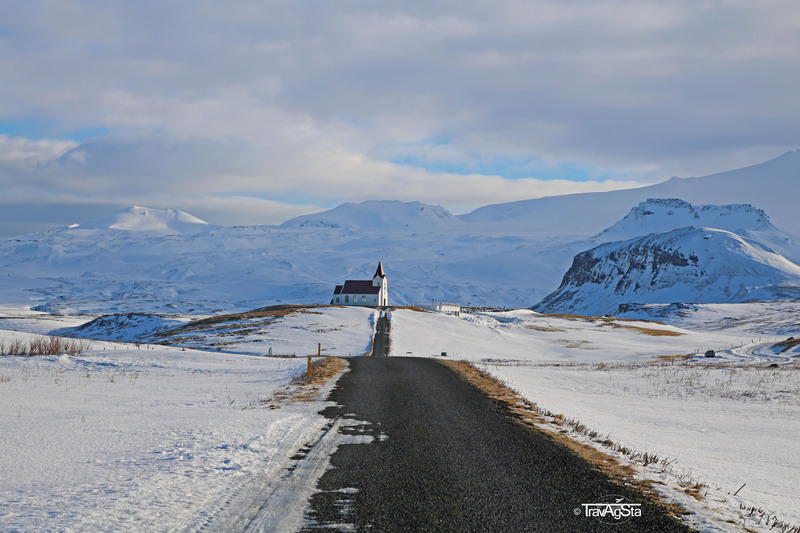 For sure, Iceland is beautiful in summer and winter, but winter is a bit more off the beaten path and exceptional! Travelling around was no problem, although we just had a small rental car. But either way, visit Iceland, you won’t regret it! And take many photos! In case you have any more questions, just ask us!